Jeremy Corbyn would make Britain less competitive in the world and harm the poorest the most, the Confederation of British Industry (CBI) had warned. The Labour leader sought to woo companies, telling the CBI's annual conference: "We have common ground." Mr Corbyn said he wanted to avoid a cliff-edge Brexit, unilaterally guarantee the rights of EU workers in the UK, and spend more money to create a more highly skilled workforce and "world class infrastructure". But the Labour leader did not shy away from more traditional left-wing ground, telling the bosses they could also expect to face higher taxes and a wave of nationalisations under his plans. 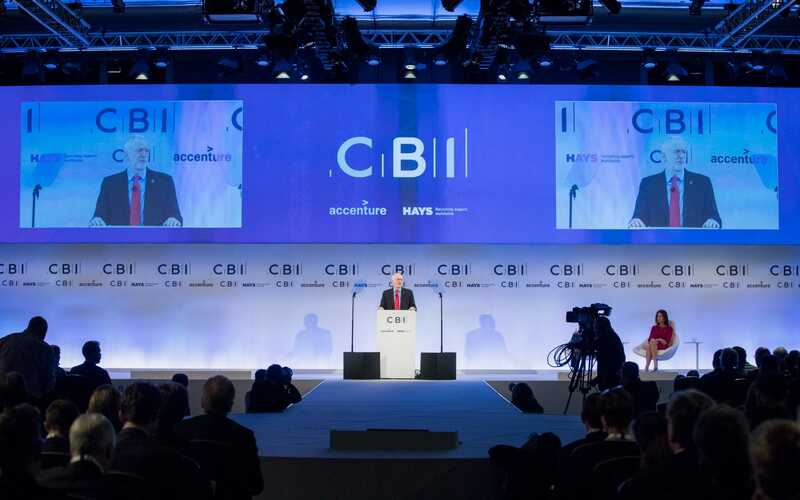 The CBI welcomed his ideas to promote clarity in the Brexit process, and also agreed in principle that more infrastructure investment is needed. But the business group warned that Mr Corbyn had reached the wrong policy conclusions. "There are fundamental differences on the ways to get there," said Carolyn Fairbairn, the CBI's director general. “It is clear that competitive markets are the best way to improve people’s lives. Abandoning this model will hurt those who need help most and make the UK a laggard in the global race for investment." Similarly the Labour leader's plans for more investment did not meet with the CBI's approval. "Both businesses and Labour are determined to find ways to lift productivity and improve living standards in communities across the UK. Proposals on skills, innovation and infrastructure have potential, and these should be refined hand-in-hand with responsible business to ensure they are funded in a way that doesn’t cost jobs," Ms Fairbairn said. "Labour should recognise that their vision of significant state intervention including nationalisation, PFI and government procurement, would undermine such ambitions."